Please see the links in the menu to the left for information about specific openings for employment in the department. With about 37,973 students, UNT is one of the nation's largest universities. 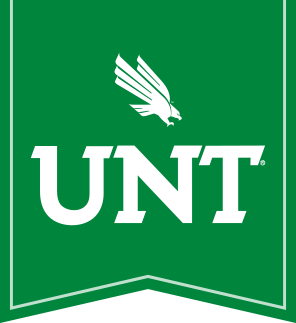 As the largest, most comprehensive university in Dallas-Fort Worth, UNT drives the North Texas region. UNT offers 101 bachelor's, 82 master's and 38 doctoral degree programs, many nationally and internationally recognized. A student-focused public research university, UNT is the flagship of the UNT System. The University has been named one of America's 100 Best College Buys for 23 consecutive years and offers the quality of a private university at an affordable cost. It is listed as a "Best in the West" college by The Princeton Review. The Department of World Languages, Literatures, and Cultures is a fast growing, dynamic, and vibrant unit. With 35 full-time faculty, it enrolls over 60 graduate students and 400 undergraduate majors, and serves over 10,000 students annually. It offers courses in ten languages including minors in Arabic, Chinese, Italian, Japanese, Latin, and Russian; bachelor's degrees in French, German, and Spanish; and master's degrees in French and Spanish. With a population over six million, the Dallas-Fort Worth-Denton metroplex is home to a diverse population and offers a broad range of cultural activities. Further information regarding the Department may be obtained by visiting the rest of our website or by contacting Dr. Marijn Kaplan, Chair, Department of World Languages, Literatures, and Cultures, e-mail: marijn.kaplan@unt.edu, phone: 940-565-2404, or Dr. Samuel Manickam, Chair, Department of Spanish, email: samuel.manickam@unt.edu, phone: 940-565-2404. The University of North Texas is an EOE/ADA/AA institution committed to diversity in its employment and educational programs, thereby creating a welcoming environment for everyone.